Positioning accuracy with GNSS without any positioning service ranges from few meters to tens of meters. By using a positioning service, the accuracy can be improved even to centimeter level. Positioning services use observation data that is gathered from permanent GNSS (Global Navigation Satellite System) reference stations located all over Finland. The observation data is used to model the error sources affecting positioning and this modeled information is transmitted to the positioning service users as real-time data streams. 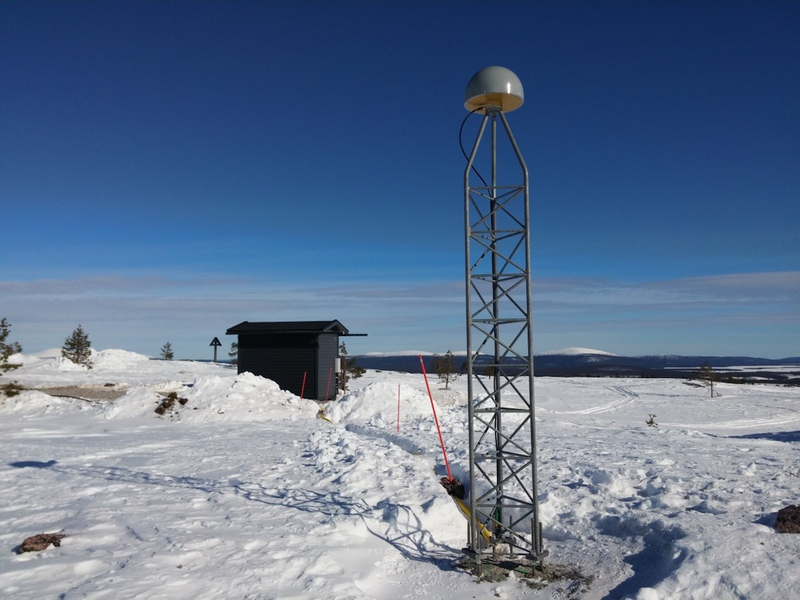 The National Land Survey positioning service is free and it uses the observation data from FinnRef network of reference stations maintained by NLS. In addition to FinnRef stations, 16 stations from Sweden, Estonia and Norway are used in the positioning service. The open DGNSS service (Differential GNSS) can be used in real time and it enables about half meter precision. The most precise real-time service, RTK service (Real Time Kinematic) is currently only available for research purposes. RINEX download service offers observation data from FinnRef reference stations. The data can be used in post-processing and can enable better than centimeter precision.